For the past couple years, it seems that my running has come in fits and starts: As soon as I get into a training groove, I’m forced to back off, thanks to an injury, a family emergency or a plain-old schedule conflict. It can be hard to get psyched up for new beginnings when you feel like you’re always beginning again. But if there’s one thing I’ve learned over the past year, it’s that approaching challenges with the grace, humility and vulnerability of a beginner is the only way to truly get better—as a runner, a swimmer, a skier and a person. In two separate and very important ways, I did just that this past week. 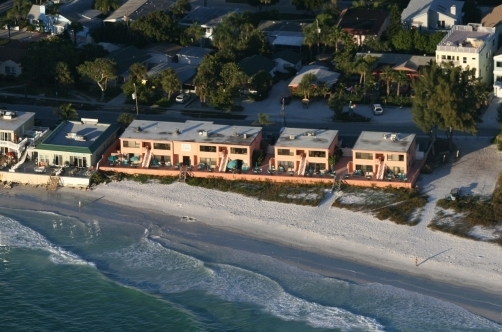 On Wednesday, I booked a flight to Tampa and a reserved a gorgeous-looking beachfront condo on Siesta Key for me and my mom for the Daiquiri Deck Tropical Splash Open Water Swim. The 5K swim has been on my calendar all year, but I’ve found it tough over the past couple weeks to get workouts in, between travel and swim-ruining thunderstorms. So the fact that I booked non-refundable tickets and lodging is as important of a training milestone as my long swims. The condo where my mom and I will stay the night before the Daiquiri Deck Tropical Splash Open Water Swim. And on Thursday, I finished my first long run—a hilly five-miler—ahead of the Philadelphia Half Marathon in November. I’ve written a lot about how half-marathons can actually be tricky for me to train for, in part because some strange part of my subconscious thinks it’s a distance I can call in, based on past running experience. (Hey, subconscious: Have you TALKED to my legs lately?). 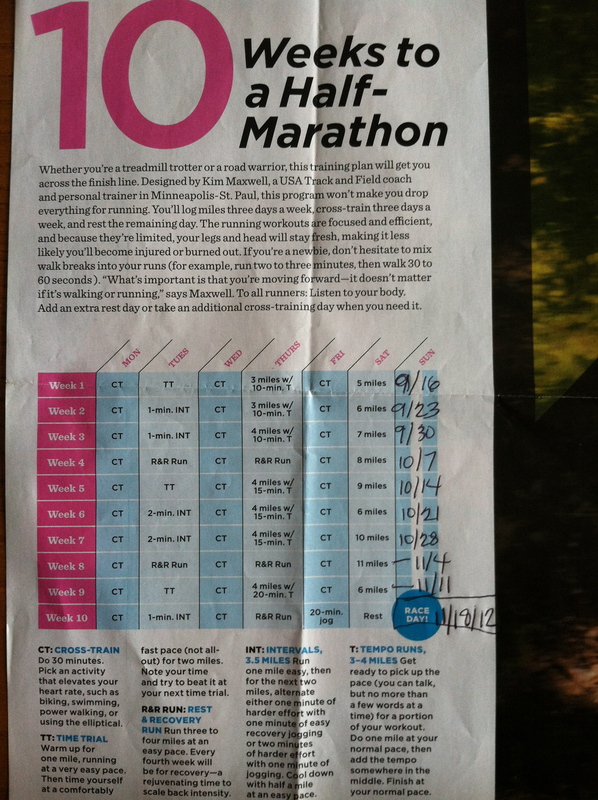 My Philadelphia Half Marathon training plan, which I’m already a week into. Not this time. This time, I’m respecting the distance, and understanding that while have been many times in my life when five miles is a short run, now is not one of those times. I respected the distance, and nailed my first workout. Do you find beginnings difficult? Exciting? A little bit of both? My beginning starts tomorrow for me too! My race is DEC 1st & I’ve decided to give myself extra training time! I don’t know if its the transition from summer to fall (I love fall runs) or what, but I am finding this beginning/start of training to be exciting! We’ll have to motivate each other as we both train!!! And, your beachfront condo looks amazing – that should be motivation enough to keep you in line with training swims!!! WOOHOO! You got this, Amy. You are so right on. I’ve been trying to get consistent after a tendon injury in 2011.I keep running though, so 30 min only. I always hope to get back up again. Good luck. I think having a new plan to try always helps me to stick with it. I hope you enjoy this one!